Cowards die many times before their death, but these Black Skulls are to die for. 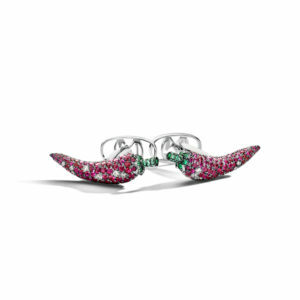 The question is: are you bold enough to wear them? One 18K white gold pair of cufflinks, containing in total 466 (four hundred sixty six) round brilliant cut diamonds.